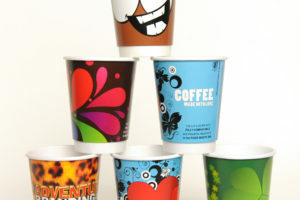 It is great to see more and more cafés, restaurants and events using our custom printed compostable hot cups. They are not only educating people on the benefits of compostable foodservice packaging, but they are bringing colour, originality and a sense of fun to the takeaway coffee world! It can be difficult for food and events industries to truly stand out and be unique (in terms of their corporate identity) but more and more of our customers are seeing the huge impact that our custom printed cups are having in terms of promotion for their business. WHY DO THEY HAVE SUCH AN IMPACT? Because their customers are doing the marketing and promotion for them once they leave the café/restaurant with the custom cup in their hand. We always make sure the designs we produce for our customers’ businesses reflect the ethos, attitude and personality of the business, which makes them the perfect marketing tool. They also give a sense of credibility and professionalism that people will subconsciously respond to. (We are more brand-conscious than we realise). As the customer-base for our printed compostable cups is ever-increasing, it means that people are getting to view ‘compostable’ in a whole new light. There seems to be an impression that ‘eco packaging’ is drab, limp and lifeless but our cups are proud representations of the colour and charisma that can be achieved with such packaging. 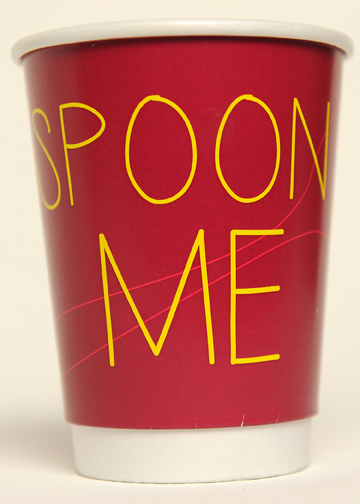 Our cups are printed using vegetable-based inks making them COMPLETELY compostable. Another thing that people assume is that is a huge amount of hassle and hardship to get a custom printed cup created for their business. NOT SO!! Custom send us a logo (or we can design one) along with any other info they want on the cup. We create a few preliminary designs based on the information they have sent and email them the preliminary designs. We finalise the design based on the customer’s feedback. (We organise a printed mockup if required). 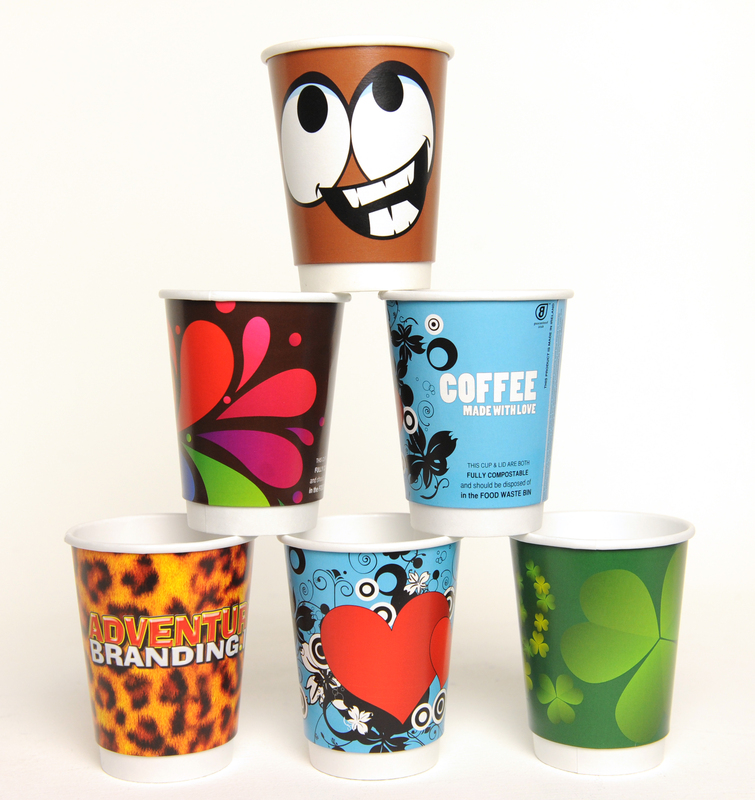 Cups go into production and within 2-3 weeks their cups are being used by their customers. We always make sure that the customer is completely satisfied with their design before going to print and we always make sure that they are bright, bold and full of character! Gráinne Thompson, the Events and Media Manager at University College Cork has been using our custom printed cup service for a number of years. We love feedback from our customers and here is what Gráinne had to say about our cups. We love our new Fresher’s Cups!!! This is our fourth run of fully compostable cups here at the Student Centre UCC. The Down 2 Earth team have been fantastic to deal with from start to finish. To date we have used several short runs, start of term and Christmas time and we are looking to introduce a fully compostable range as our main tea/coffee cup going forward. We have enjoyed very positive feedback from the UCC community and we all look forward to our new cups each time knowing that we are contributing something to help our environment. Thanks to John and Paul at Down 2 Earth for the advice, support and for making my job a whole lot easier! We love our new cups!!!!!! We would just like to thank all the cafés, restaurants, universities and events companies who are using our custom printed cup service and we are proud to be able to help Irish businesses in our own unique way. If anyone would like to enquire about this service, don’t hesitate to contact us. We’re very nice!